Keeping on top of your payroll can be quite a difficult thing to do as an owner of a small business. Running the day-to-day should take up more time than a normal full-time job, let alone administrative tasks and financial matters that need to be dealt with. Payroll services are notoriously time consuming, especially for SME’s with multiple employees. Therefore, outsourcing your administrative tasks such as payroll could potentially be a very good business move. At TFMC Farnborough, we can help you make the most out of your limited time and take over your payroll tasks. Our Professional Payroll Farnborough Team have a lot of experience with Payroll / CIS and other financial administration services. We provide PAYE registration and admin services as well, in order to ensure your registration with HMRC will be a flawless process, and it will be possible for you in order to be legally entitled to pay PAYE salaries. 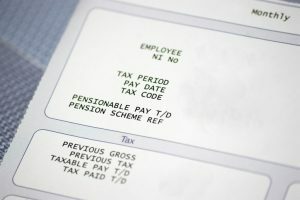 A payroll record is created for each employee including address, bank details, date of birth, NI number, tax code, basic salary, other payments and deductions. As with the set-up, we can accept payroll data in a variety of formats. All of our Payroll Set-ups accommodate growth and new structures, support updates in legislations. We are able to set-up a regular electronic payslip system for your employees, which allows them to securely view their payslips online. For more information on what we can offer you, use our contact form, or alternatively, call us for more information.